X-Men (1991) Average 0.00/5 - out of 0 total votes. 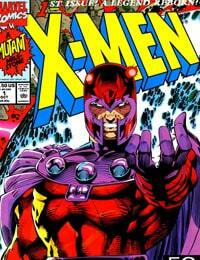 It's the X-Men vs. Magneto, Master of Magnetism! The X-Men's oldest enemy is back and it's going to take everyone in the X-Men have to bring him down. A Marvel classic from Chris Claremont and Jim Lee!